Our modern fast-paced lifestyles literally deteriorating our bodies and get us so stressed out frequently. That being said, stress and anxiety can cause hair thinning or hair loss problems. What if I told you, you could achieve thicker and fuller hair instantly, in a few seconds? Yes, you heard me right! With the advancement of technology today, we have Toppik Hair Building Fibers designed especially for those who need an instant help with their hair loss without any hassle or commitments. In a fast-growing world like today, how do you make yourself stand out amongst the crowd? Our first impression means everything to everyone and your hair contribute a major part of it. 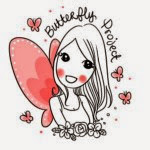 It’s true that nobody is perfect in this world but the technology today has allowed all sorts of opportunities for the sole purpose of cosmetically enhancing a person’s appearance. What is Toppik Hair Building Fibers? Toppik Hair Building Fibers is the go-to hair product for achieving that fuller and thicker head looks in just 30 seconds. This best-selling product is an effective and reliable solution to balding and thinning hair problems. Made in America, Toppik Hair Building Fibers offers instant, natural-looking and long-lasting results that will enhance your appearance dramatically. With simple steps, you'll achieve a naturally thick hair look that is bound to be a huge confidence booster. How does Toppik Hair Building Fibers work? 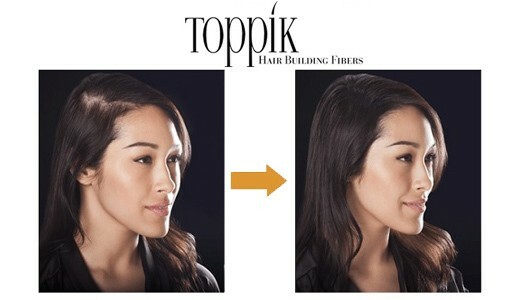 Toppik Hair Building Fibers is very easy to work with and requires only minimal skills. Basically, the product packaging is similar to bottled baby powder. You just need to apply the product onto your head, focusing on critical areas where the scalp is more obvious or parts where you want more coverage, and you are ready to go. Your hair appears thicker, fuller and healthier in just a few seconds. The fibers generally work very well as they are and do not require any other products to increase their effectiveness. What is Toppik Hair Building Fibers made of? Toppik Hair Building Fibers is made of all natural premium fibers which are sourced from natural wool. Due to its natural ingredients, the fibers are high in quality, unlike imitators which usually made of low quality fibers as they source their fibers from fish bones, nails, hooves, plant-based materials and rayon. Using high or low quality fibers can make a huge difference especially in the end-result. High quality fibers give a more natural and long-lasting result whereas low quality fibers will look artificial and does not last long. Toppik Hair Building Fibers uses only high grade fibers to guarantee the best results for its customers. These high quality fibers actually have a texture that is similar to our natural hair. So when they are applied onto our head, they blend really well with natural hair and don’t give off any unnatural look. Another important point is that the fibers contain natural static charges. The static charges make the fibers attract naturally to our natural hair. 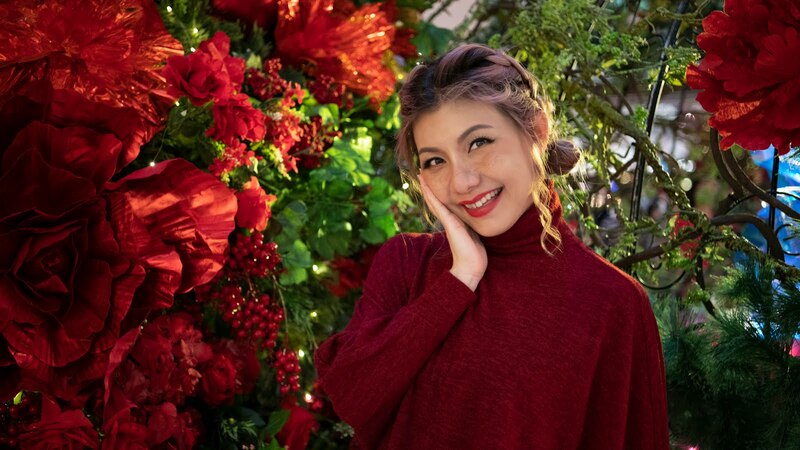 Since the fibers are firmly attached to our hair rather than just sitting on top of it, the fibers are more durable as they will not move around easily and not clump together in an unnatural way. No matter what kind of weather you'll be facing, even under the Malaysian sun, the fibers will remain intact and stay in place. For further information, log onto https://toppikmalaysia.com/products/toppik-fibers/how-toppik-work/ to read more on how Toppik works. The drastic difference is undeniable. 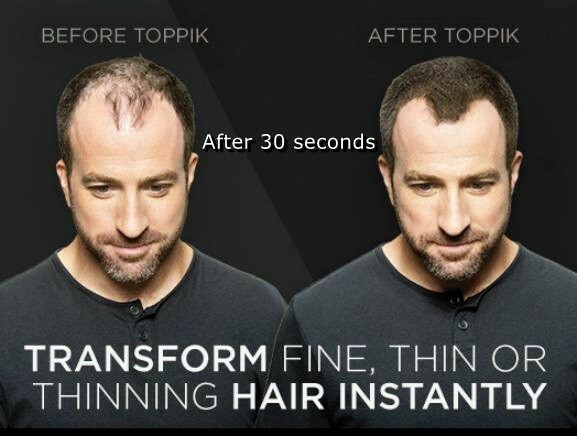 Toppik Hair Building Fibers can cover up any bald spots within just a few seconds and immediately transforms a person's overall appearance. Not only that, the fibers blend so well with natural hair that they look exactly like natural hair. Instant, natural-looking, and long-lasting are definitely guaranteed with Toppik Hair Building Fibers! This product is suitable for anyone who wants to enhance their appearance. 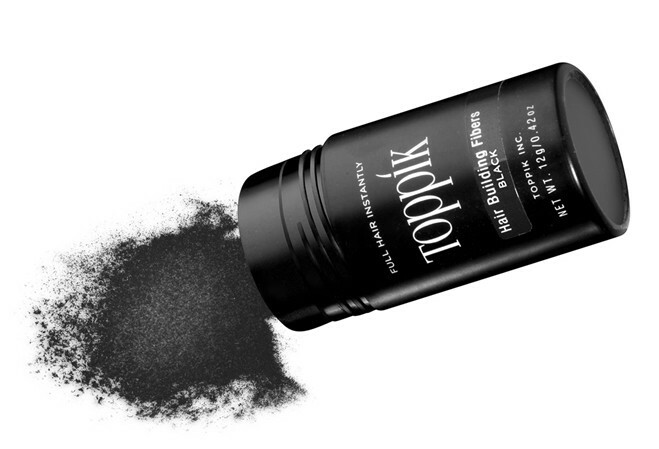 Another pro tip : Toppik Hair Building Fibers can also be used for covering up gray roots or roots regrowth! So its function is definitely versatile too. 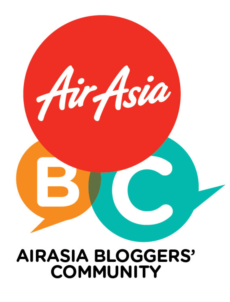 Tried and tested by many Malaysians, you can read up on their testimonies here http://toppikmalaysia.com/products/toppik-fibers/testimony/. So why not try Toppik Hair Building Fibers yourself today? Where can I get Toppik Hair Building Fibers? Today Toppik Hair Building Fibers can be easily bought online from Toppik Malaysia, the official distributor for Toppik products in Malaysia. Check out their website at http://toppikmalaysia.com for all ranges of Toppik products on offer and don’t miss out on their best-seller which is the Toppik Hair Building Fibers. Proven to have changed the lives of many, this product is a must-try for any balding and thinning hair! Right now Toppik Malaysia offers free shipping on all orders within Malaysia, so what are you waiting for? Order yours today and enjoy thick and luscious hair in an instant! It's Somertime, Anytime with Somersby!